You may have missed the UNF Writers Conference last weekend, but there's still time to register for the 9th Annual Florida Writers Conference, October 22 - 24 in Lake Mary, FL. But hurry, the registration fee increases on September 22nd. It's one of the biggest and best conferences anywhere, filled with targeted workshops designed to make you a better writer, motivate you and help you get published. Aside from the many educational sessions, you have the chance to pitch your work to agents, editors and publishers, attend the Royal Palm Literary Awards banquet, and much more. If you intend to register for the conference, I'd encourage you to also register for one of the Pre-Conference Full Day Workshops. Five comprehensive workshops are offered, including my own Novel in a Day workshop, plus others covering screenwriting, how to query and pitch an agent, and marketing and promotion. Click on the link for more information. Here's what's happening at the six NE Florida FWA chapters during the month of August. And remember, the meetings are open to members and non-members alike, but if you find yourself returning on a regular basis, we expect you to join FWA. The benefits are many, and the price is low. First Coast Christian Writers, an affiliate of FWA, meets each Thursday at 6:45 p.m. at Christ's Church at 6045 Greenland Road. Contact leader Tracy Redman, tlsl72@yahoo.com for details. Yesterday's meeting of River City Writers was cancelled because their room at the SE Regional Library is used as a polling place for Duval County elections. The next meeting will be Tuesday, September 14 at 7:00 p.m. Email Gregg Golson, gtgolson@comcast.net for more information. The Amelia Island Writers meets on Tuesday, August 17 at 6:00 p.m. at Books Plus on Centre Street. Group leader Maggie de Vries, maggie1948@yahoo.com, will lead a writing workshop. The Clay County Writers have been chased from their Fleming Island Library home base, but will set up shop at McAlister's Deli, 1615 County Road 220, on Wednesday, August 18 at 6:30 p.m. Chapter member Joe Kerrigan, author of Greed, and leader of the chapter's fiction critique group, will speak on "The Inside Scoop on E-Publishing." Contact group leader Maureen Jung for details, mjung@wordspringconsulting.com. Wondering how to get your book reviewed? This month's Ancient City Writers featured speaker, Gary Roen, wears many hats, including syndicated book reviewer, literary agent and author. He'll provide insights into the review process, as well as give some tips about the mistakes writers make when trying to get published. Roen will speak on Saturday, August 21 at 10:15 a.m. at St. Augustine's Main Library. As usual, the Ponte Vedra Writers conclude the month of meetings with a valuable session for all writers, published or not. 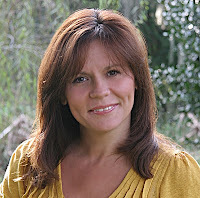 The group meets on Saturday,A ugust 28 at 10:30 a.m. at the Ponte Vedra Library, and will hear from Carol O'Dell. Carol is an inspirational speaker, writing teacher and the author of Mothering Mother: A Daughter's Humorous & Heartbreaking Memoir. Carol's topic is "Create Your Author Presence." We know agents and publishers are looking for more than a good book. They want authors with a platform, authors who can command a room when they speak, and know their way around social marketing skills. Carol will tell us how to build our platform, raise our professional bar and gain the attention of the publishing world. Mark your calendar for the 3rd Annual Florida Heritage Book Festival, September 24 - 25 in historic St. Augustine. It kicks off the morning of the 24th with a series of writer's workshops at the Casa Monica Hotel. The workshops are led by a stellar cast of professionals including, Larry Baker, The Flamingo Rising, Robert Macomber, At the Edge of Honor, Karen Brown, Grace Paley Prize winner for her short story collection, Pins and Needles, and William McKeen, Outlaw Journalist, among others. Visit the website for registration details. And be sure to sign up for the Literary Legends Awards Banquet that evening at World Golf Village Renaissance Resort when the festival honors acclaimed Florida author, Carl Hiaasen. Prices increase on September 10, so register now. Saturday, September 25, will kickoff with a talk by Hiaasen, followed by a day of author talks, panel discussions and poetry workshops. All Saturday sessions are free. The FWA Network is a social networking site exclusively for FWA members. On the site, you'll find chat groups for the various genres, blogs, a listing of events for writers, and now, ads. If you have a service or product, including your book, you'd like to advertise to your fellow writers, this is the place to do it. Members and non-members alike are eligible to purchase ads, though non-members pay a higher fee. Visit the site and you'll find the ad information in the right column. And if you're an FWA member, but haven't signed up for the FWA Network, this is as good a time as any. This month's meeting of the Society of Children's Book Writers & Illustrators (SCBWI), Saturday, August 21 from 1:00 to 3:00 p.m. at the SE Branch Regional Library, will feature a discussion about working with agents. Contact Janet Walter, jgwalter@comcast.net, for details. The Scribbler's Retreat Writer's Conference, August 12 - 14, at the King & Prince Beach Resort on St. Simon's Island, features a keynote talk by none other than Steve Berry. Other speakers include Jonathan Rabb, Haywood Smith, and Vincent Coppolla. The Ancient City Romance Authors present Fiction Writers Boot Camp for Published and Unpublished Authors, Saturday, September 25 at the Crowne Plaza Hotel (Jax Airport) in Jacksonville. Visit the site for details. Last week, the technology site, ReadWriteWeb, had an article listing 5 reasons to read your next book on an e-reader. This week, we hear from the other side with "5 Ways That Paper Books Are Better Than eBooks." Finally, if you ever wondered if your style of writing is similar to any famous writer's, you might want to try your hand at I Write Like. I wouldn't put too much stock in the results, though as they are highly suspect, and sometimes downright laughable. But we all need a few laughs, now and then. Enjoy the remainder of your summer, and keep writing.